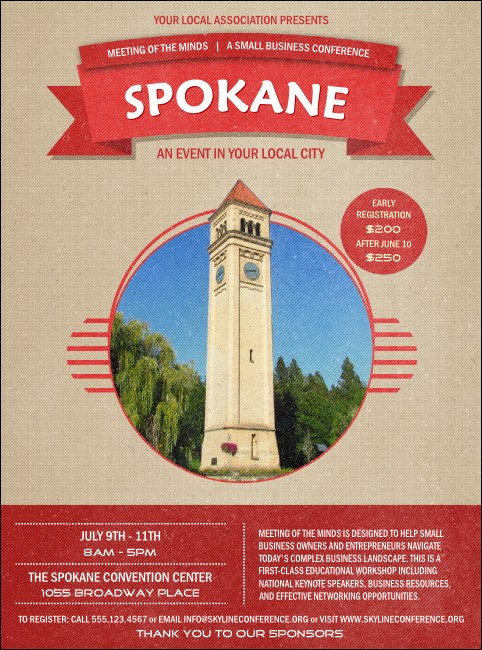 Whether your guests are racing in the Bloomsday Run or playing 3-on-3 at Hoopfest, they'll notice your event with the Spokane Flyer. With rich red tones and the Clocktower on Havermale Island, this flyer represents your beautiful city in the Inland Empire. A Matching Event Kit completes the package for event success!